**Waiting list only** So popular is this tour that JR is running it for the third time. Again, we will explore the fascinating past of the Jewish community, with its varied roots – Berber and Spanish – and its French affiliations. We will learn about its religion, culture and customs and enjoy an unforgettable Purim celebration with the Casablanca community. We will also visit other exceptional sites of beauty and historic interest. We will stay in excellent hotels, including a traditional riad. All the photos below were taken by participants in previous JR tours. 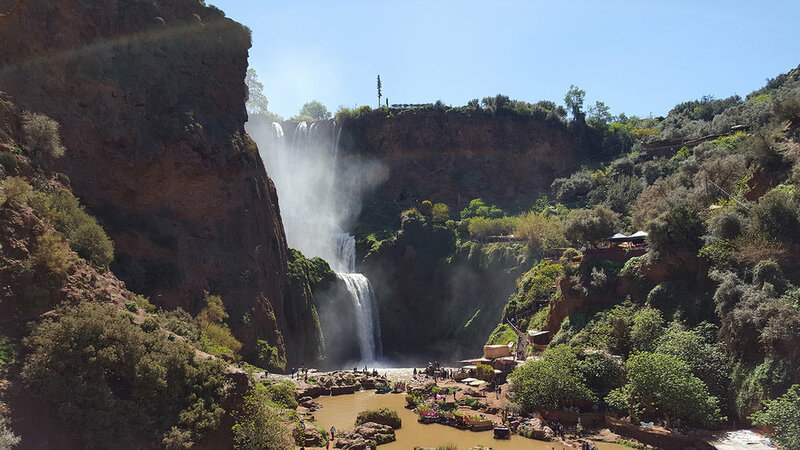 While we understand security concerns, our many previous tours to Morocco have convinced us that the discreet, yet strong, security provided for all tourist groups, is second to none. There is nowhere you will be safer. Rafi (pictured) is a Moroccan Jewish tour guide specialising in the 2,000-year history of Morocco's Jews. After and a youth spent in England and some years in Israel, Rafi returned to live in Morocco. He has been at the forefront of an effort to preserve Morocco's Jewish heritage and keep the memory of former communities alive. You will see the results of his relentless efforts on the trip through Jewish sites around the country and the numerous artefacts he discovered displayed in the Casablanca Jewish museum he helped to create. A captivating speaker, he enthrals his listeners with remarkable stories and hilarious anecdotes. He is much loved in the Jewish and wider community and opens doors everywhere. He is co-author of Jews Under Muslim Skies, 2000 years of Jewish Life in Morocco, a copy of which he presented to King Mohammed VI. We take Ryanair Flight FR2772 from Stansted 7pm to arrive at 10.20 pm. We are met at FES airport by Rafi and taken to our hotel Palais Medina where a light meal will be waiting for us. We spend the day in Fez visiting the extraordinary Jewish cemetery in the Mellah (above) and two shuls, one of which was restored by Rafi. Then we are taken by coach to the medina and walk its streets, so narrow and steep that mules are the only means of transport. We see an exquisite madrassa and the oldest continually operating university in the world. We lunch in a beautiful residence and visit the famous tanneries as well as other artisan workshops. Evening: We visit the beautiful Bensadoun synagogue before dining at the nearby Maimonides Club where will we have an excellent kosher meal. Leave hotel 8.30am. We drive to the Imperial city Meknes. Here we visit the Mellah, which once contained 11 Synagogues, and one of the synagogues which once housed a Talmud Torah, meeting one of the last Jews of Meknes who still prays there. 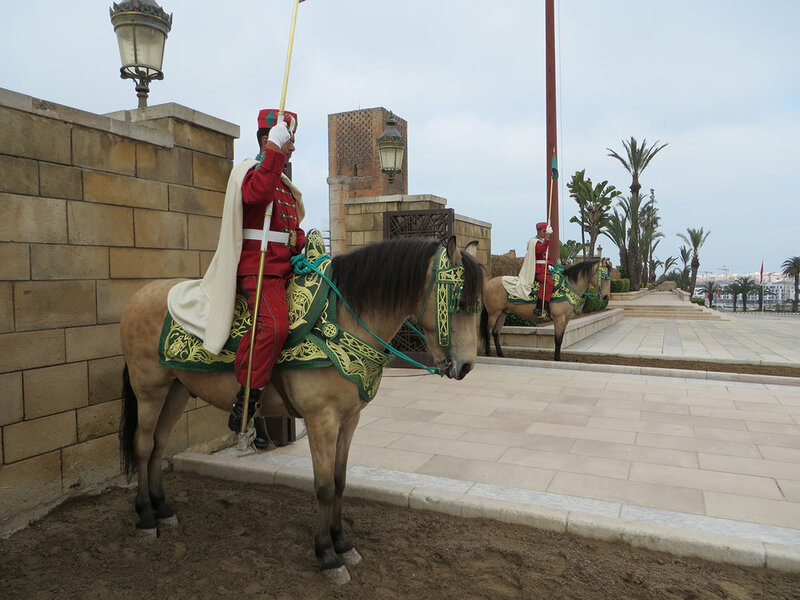 Then to the Mausoleum of Moulay Ismail with its famous royal stables and granary, once home to 15,000 Arabian horses. 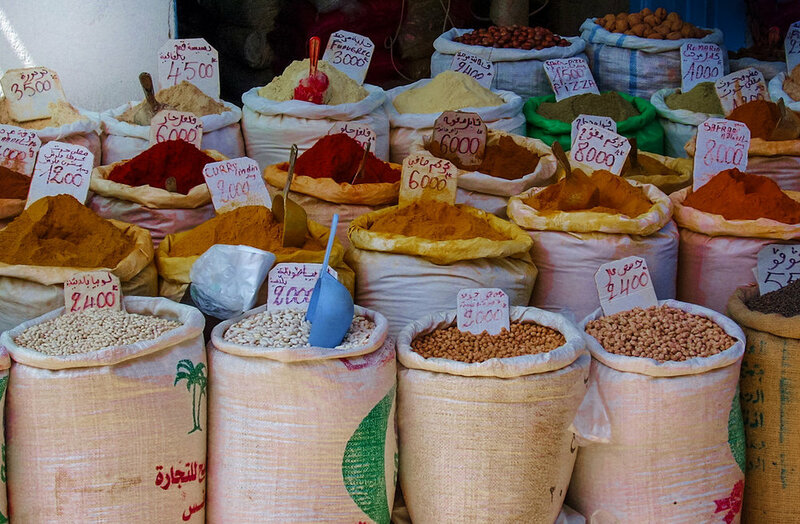 We also visit the fabulous spice market and there will be free time to stroll around the city square and eat our packed lunch. Then we drive to Volubilis a remarkably well preserved Roman city and Unesco site (below). We go from there to the Moroccan capital Rabat where we check in at the beautiful Sofitel Jardin Roses Hotel. In the evening we hope to again have dinner with Elmehdi Boudra, Laziza Dalil and other members of the Mimouna Association. These are young engaging Moroccans who celebrate their country’s Jewish heritage. They impressed and charmed those on our most recent previous tour. Leave Hotel 8.30am We view the shul in the mellah quarter of the Rabat Medina in what was once a Portuguese port and then to the Kasbah where we admire the views the ramparts and stroll through the Andalusian gardens with an optional visit to the Museum of Moroccan Arts, housed in a fine royal residence. We continue to visit the 12th century Hassan Tower, and the columns erected to mark the site of a monumental mosque destroyed by an 18th century earthquake, and the nearby modern lavish King Mohammed V Mausoleum. After a light lunch we take our coach to Casablanca. Here we walk through the street of six shuls (where Rafi gives an entertaining account of the five he does not go to! ), visit the kosher bakery where we have a chance to sample the local Purim fare, and then visit impressive Beth el Synagogue and one of the many Jewish clubs. We check in at Le Casablanca hotel. Those who wish are taken by Rafi to a Megillah reading. We have dinner at one of the local Jewish clubs. We start with a drive through the French colonial style heart of Casablanca. Then we visit the Jewish Museum in Casablanca, where Rafi, who found much of its contents on his research tours throughout Morocco, is a passionate guide to its engaging display of the rich Jewish life which existed throughout the country. We drive back through the well-heeled southern coastal area where beautiful villas among the palm trees are the homes of the better off among Casablanca’s inhabitants and hear stories of international diplomacy and interesting characters among of its Jewish residents. At 9am we begin our three-hour journey to Marrakesh. On arrival we check in to the beautiful Riad Elisa, have lunch (a packed lunch prepared by the Casablanca Jewish community centre) and at 3pm drive to the old Jewish Quarter. We see the last of the Jewish traders in the medina and visit the nearby Bahai Palace, where we enjoy the elaborate architecture and the story of its Iranian origins. Then we walk to the beautifully restored synagogue where Rafi tells us its story, and that of the Marrakesh community. We join the evening service and afterwards walk to have our Shabbat meal at the nearby Haliwa family home. You will be amazed at the quality of Moroccan Jewish home cooking. Those who wish will be accompanied on the 30-minute walk back to our riad. Others will go by coach. FREE DAY to explore fabulous Marakesh or relax in the Riad (perhaps taking advantage of their highly rated hammam.) 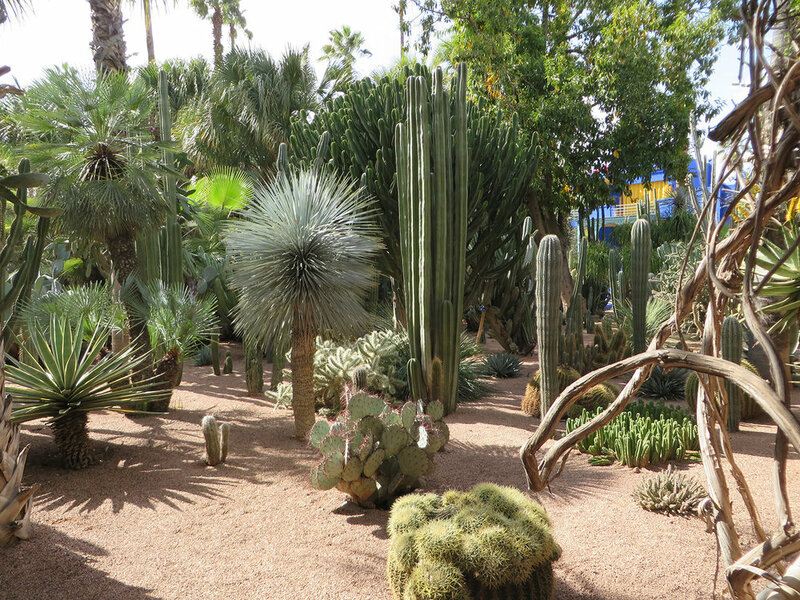 Or you might like to visit the famed Photography Museum or Marjorelle Gardens or have a final shopping expedition. 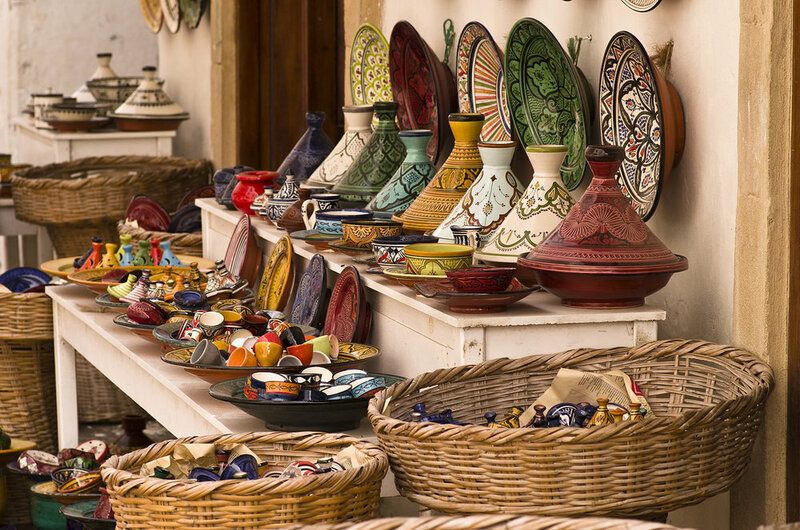 The government run Artisanal workshops not far from the Riad sell good quality crafts at fixed prices. The evening is the best time to visit Jmaa El Fna, the central square. It is at its liveliest, with story-tellers, snake-charmers, artists and musicians, entertaining the locals and lots of restaurants and street food to sample. 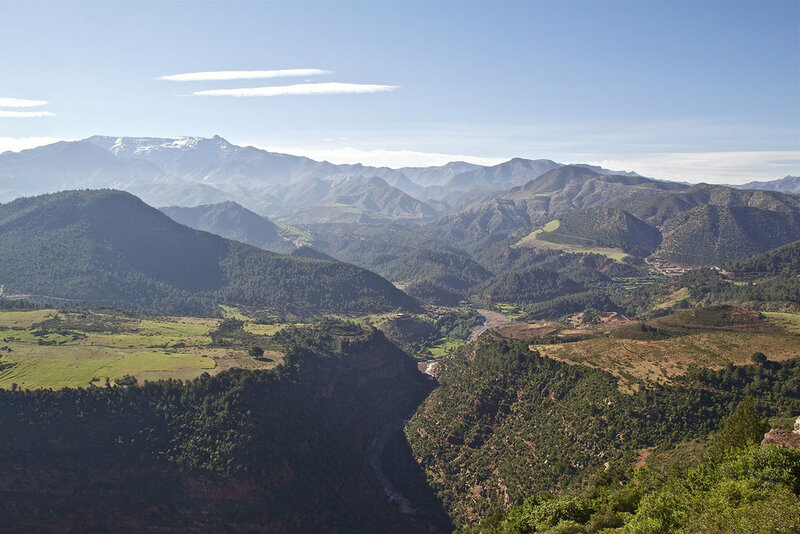 We leave at 8am for a trip to the Ourika Valley to see the waterfalls and the scenery. We visit the tomb of Rabbi Shlomo ben Hensh, now a pilgrimage site, and spend time in a typical village where our guide Rafi introduces us the to the Berber family he lived with for some time while doing research into Jewish life in the valley, who kindly allow us to look round their home. We return to Marrakech in good time for those returning home to get the 15.15 BA flight landing at Heathrow at 18.40. If you prefer to go later there is a BA flight leaving to Gatwick plus EasyJet and RyanAir flights to Luton and Stansted. Main Tour The cost of the above, including hotels and breakfast and all transport, meals specified above, the services of Rafi Elmaleh and local guides and museum fees is £1,895 per person sharing plus a single supplement £795. This excludes the cost of the flights which participants book themselves. If you are interested in joining this trip please email tours@jewishrenaissance.org.uk for a booking form or phone us on 020 7794 5254. This tour is for Jewish Renaissance subscribers only, so if you are not already a subscriber you will need a subscription – click here to subscribe.